1. Make sure you have permission – This is incredibly important, not only are there potential legal penalties but it can make your business look extremely bad when sending text marketing messages to people who haven’t directly subscribed to your texts. Put yourself in the position of someone who’s receiving undesired text messages about products you haven’t opted in to hear about. I’m sure it wouldn’t make you that happy. So make sure you have their permission? If they are just texting your keyword to your short code then you have permission and you don’t have to worry. If you are uploading a list of contacts to your text marketing list, the provider you work with may require you to submit proof of permission before you can send texts to those numbers. 2. Send your texts during business hours – No one likes getting text messages that wake them up in the middle of the night or early in the morning. That includes your customers as well! Make sure that you’re sending our scheduling your texts to be sent out not only during business hours but when you feel is the most optimum time for them to receive your message. 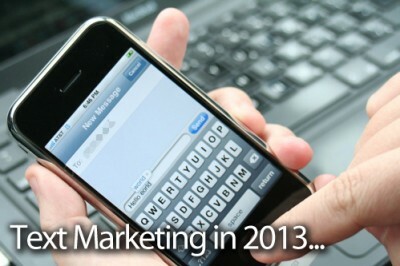 Remember that one of the key factors that make text marketing so effective is its ability to deliver instant results. So for example, if you own a restaurant, don’t send a lunch special at 4 in the afternoon. You’ll want to schedule that text to fire out around 11 or 11:30 when people are starting to get hungry and think about what to eat. 3. Pay attention to how often you’re sending texts – It’s incredibly important not to have a “jumpy trigger finger” with your text marketing campaigns. If you’re sending texts too often, there’s a much greater chance that your customers or subscribers will become annoyed and opt out. This will also make your business look bad. You need to find a balance that works for both your and your subscribers. A general rule of thumb for most businesses is to send between 2 and 4 text messages per month. 4. Make sure your texts are creating value – There’s no point in sending text messages to your customers if they don’t inspire some sort of action that’s beneficial for your business. If you get into the habbit of sending invaluable texts, again your subscribers will opt out and begin to disregard your marketing. So when you’re deciding on a text campaign to send out, think about what would really set a fire under your subscriber’s butts to visit your business. Not only will it drive more traffic but your customers will feel they made the right decision about joining your text marketing list.